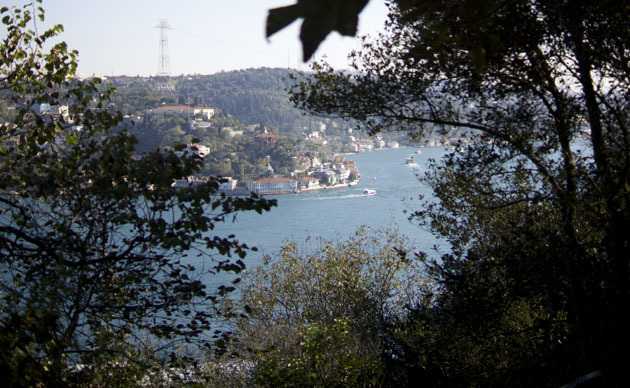 This photograph across the Bosporus, from the grounds of Bogazici University in Istanbul, Turkey, was taken by Rohan Palma, Hajim School study abroad advisor, during a site visit to the IES study abroad program there. November 4, 2014: UR students studying abroad in Istanbul encounter two worlds. One is remarkably like suburban America with modern malls and divided highways; the other is a place of Ottoman Empire charm, with historic mosques, bazaars and markets and narrow winding streets. In either place—at Sabanci University on the eastern, modern side of the Bosporus, or at Bogazici University on the Old World west side of the straits-- UR students will have no trouble fitting in, reports Rohan Palma, the Hajim School’s study abroad advisor after a recent site visit to the IES program there. Both universities teach all their classes in English, even for native Turkish students. The two universities mirror the contrasts of this city that straddles two continents, Europe and Asia. 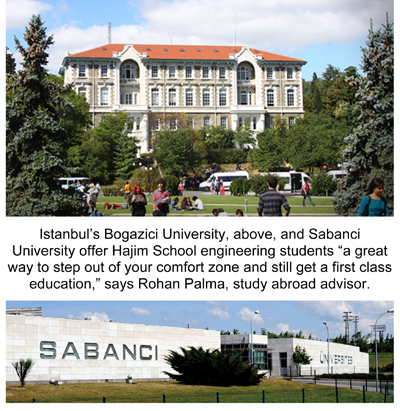 Sabanci University, one of Turkey’s private "Foundation Universities," was founded in the late 1990’s by the Sabanci Group and began accepting students in 1999.It has become one of Turkey's most competitive universities, with world-class faculty and small class sizes. Sabanci enrolls just under 4,000 students. Bogazici, originally founded by American missionaries in 1863 as Robert College, was donated to the Turkish government in 1971. The University is now the most competitive in Turkey – Palma describes is as “the Harvard of Turkey” -- and enrolls about 12,000 students. Both offer strong programs in engineering. And both offer all the amenities an American student might look for – including Starbucks. Because the IES program in Istanbul is relatively new, the UR is still working to determine which engineering courses offered there will be pre-approved as meeting degree requirements here. In the meantime, students can work with their professors to identify courses in Istanbul to satisfy their degree requirements. 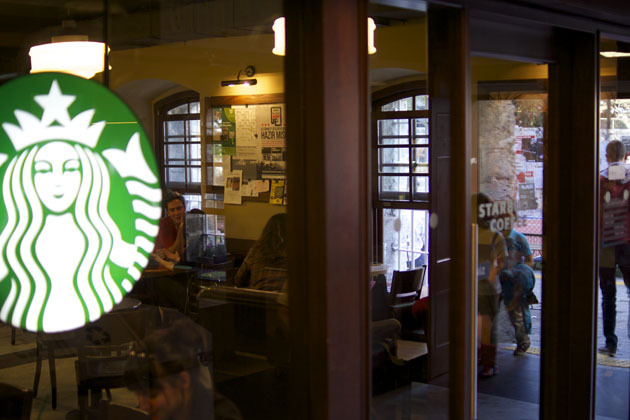 Students at both Sabanci and Bogazici Universities have easy access to Starbucks! Photo by Rohan Palma.